It’s a fact: local business reviews can increase your business. If you think that online reviews are just people looking to talk trash about your business and they should be ignored, you need to reconsider that stance. 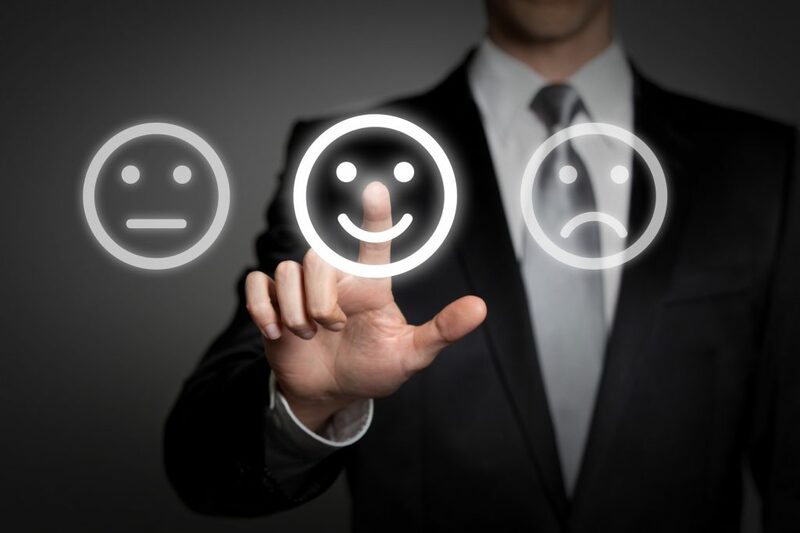 Online reviews play a major role for customers who are looking at similar products and services. About 84% of customers trust online reviews as much as a recommendation from someone they know. The question comes down to whether or not you want to get the business or you want them to go to your competitors. Read on to learn how reviews impact your business and what you can do to use reviews to bump up your bottom line. We’ve come a long way from the days where people would use the yellow pages to find a plumber, restaurant, or other service providers. Back in those days, the biggest ads and companies that started with the letter A would get called first. It basically came down to the one with the biggest ad spend would win. Things have changed and the playing field has become more level. Companies no longer have to rely only on a massive ad budget to compete for eyeballs. SEO, social media, and pay per click ads have leveled the playing field. What happens now when people search online is that they turn to their phone instead of a massive, heavy book. They look for services and products online, either on Amazon or Google. You might be surprised to learn that 52% of product searches start with research on Amazon. People will look at your website, where they’ll form an impression based on the design. Your logo needs to be up to date and professional. If it’s not, you could lose business. Click here for more information about website and logo design services. They’ll also look at reviews to support their initial impressions. If they already have a bad impression, they’ll look for reviews that are also bad. That’s why you need positive reviews and as many as possible. If they can’t find negative reviews, they are more likely to pick up the phone or buy your product. Search engines take a lot of things into account when deciding search results. They look at things like website speed, backlinks, keywords and more. For local searches, reviews also play a big role in how your site appears in search results. You rarely see a search result that shows negative reviews at the top of listings. That’s because search engines have to get the best results to their users. If they consistently show search results of companies that have bad reviews, people won’t trust the search results. They can then use another search engine. It’s in your best interest to have your customers review your business on Google first since that will impact SEO. Reviews on your website should be the second priority since that data is also used to determine search results. After you have plenty of reviews on Google and your website, you can focus on building positive reviews on sites like Yelp, Angie’s List, and Houzz. The result is that you get more web traffic to your site from people who are genuinely interested in your services. That turns into revenue for your business. Are you wondering how you can go about getting glowing reviews online? It’s actually easier than you think. You have to ask your customers. Simple, right? You do need to be aware that there is a grey area when it comes to asking for reviews. Some sites like Yelp don’t allow business owners to ask for reviews in their terms and conditions. Google’s terms and conditions say that you can ask for reviews, you can’t provide incentives to people to give reviews. The reason why sites have such strict policies is that they want users to trust the reviews on their sites. It’s impossible to trust reviews if there’s the possibility that reviewers received some kind of benefit to leaving a positive review. How do you go about asking for reviews? The best way to ask for reviews is to have a system in place. For example, after your business works with a customer, you can send an email asking them to rate your business on Google. If you have a retail location, have a couple of signs posted saying that customers can find you on Google or leave a review on your website. Don’t forget to ask for reviews in your social media posts. If you’ve been in business for a while, you’ve probably had some customer issues that couldn’t be resolved. Hopefully, those experiences are few and far between, but they can end up becoming negative reviews. It’s tempting to respond to the negative review by blaming the customer for the bad experience or to get angry. That will only make your business look worse to people who are reading about your business for the first time. The best way to respond to bad reviews is to make sure the customer feels heard, even if they’re wrong. You also need to make sure that the issue is handled offline. Finally, you want to personalize every response. If you just copy and paste the same response, it looks inauthentic and uncaring. It shows that you care about your business and you’re committed to customer service. Local Business reviews can drive people to your business and make it easy for them to make a decision to call for more information or book an appointment. You can encourage your biggest fans to leave reviews on Google, specialty sites like Angie’s List and your website. The more positive reviews you have, the better. Are you ready to use reviews to get more business? Start with a free review audit, which will tell you how you can improve your online presence.